When you are in the market for a quality preowned recreational vehicle or ready to sell your RV, you are in good hands. At Magnum RV, we take pride in all aspects of the sale, for your complete satisfaction. 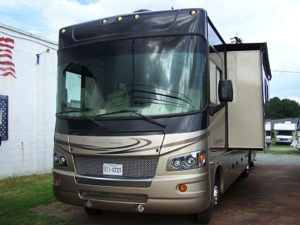 Whether you are a first time buyer or a seasoned RVer we are here to make buying your RV a pleasurable experience. Our personalized service allows us to understand your needs and help you make the best informed choice for your next recreational vehicle. We offer complete training , a 30 day warranty on all the RV systems and we are still here for you after the sale. We also have many RV financing options with affordable interest rates and payments. Celebrating 14+ years in business and still bringing quality used trucks , cars, watercraft and recreational vehicles to the Northern Neck area. In September of 2015 we became a Travel Lite dealer specializing in lightweight truck campers , toy haulers and campers. Whether you are a consignor or a purchaser, know that at Magnum RV, we work for you.